Doll Making Linked to Pleural Mesothelioma | The Williams Law Firm, P.C. Recently, a study was released that showed a causal link between pleural mesothelioma and individuals who work in factories that produce cloth dolls. This study, which was conducted in Italy, is the second to highlight this link. Pleural mesothelioma is an aggressive form of cancer, which develops in the lining of the lungs due to asbestos exposure. It is not curable, though the prognosis can be improved if detected early. 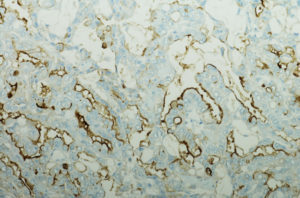 A micrograph of pleural mesothelioma. 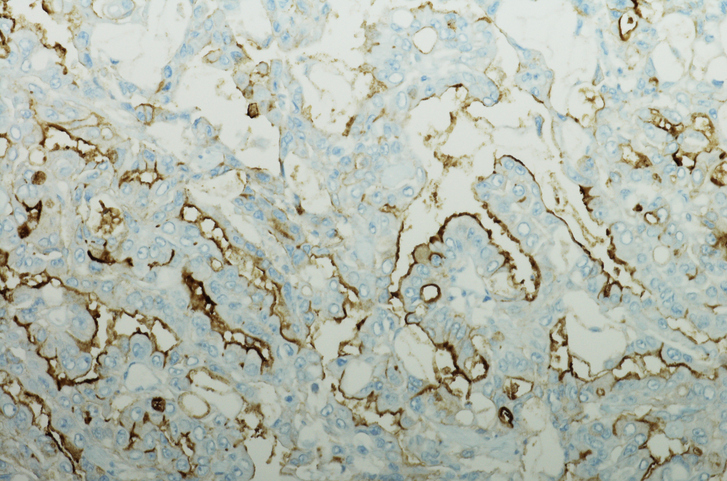 Researchers analyzed 757 cases, which was provided by the Province of Brescia Mesothelioma Registry, an organization that has been tracking mesothelioma cases in the region since 1993. The cases used in this most recent study occurred throughout the year 2016. Mesothelioma is typically linked to occupational exposure, but doll making is not among the professions usually associated with asbestos exposure, shedding some light on why mesothelioma in women might have been overlooked in the past. Given the history asbestos has with male-dominated industries such as construction or shipbuilding, mesothelioma affects twice as many men as it does women. Mesothelioma cases involving female patients were often assumed to be related to contact with asbestos in their home, or through exposure to a family member’s work clothes. In cases involving female doll makers, none of these factors could be confirmed. Additionally, there have also been reports of asbestos exposure in textile and garment workers, cotton spinners, teachers, and users of specific types of modeling clay. Mesothelioma is a preventable cancer caused by the inhalation of asbestos fibers, targeting the layer of tissue that covers a majority of one’s internal organs. There are varying types of this cancer, though the most common is pleural mesothelioma. This aggressive and deadly form of cancer takes an enormous emotional, physical, and financial toll on its victims and their families. At The Williams Law Firm, P.C., our passionate and aggressive legal advocates fight for those who suffer from mesothelioma and will help ensure victims and their loved ones receive the financial security and justice they deserve. If you or a loved one was diagnosed with mesothelioma, now is the time to explore your legal options and hold those responsible for your exposure to asbestos accountable. Request a free consultation today. Call us at 855-575-MESO (6376) to speak with one of our dedicated New York mesothelioma lawyers today.